Katherine Yelick is a Professor of Electrical Engineering and Computer Sciences at the University of California at Berkeley and the Associate Laboratory Director for Computing Sciences at Lawrence Berkeley National Laboratory. She is known for her research in parallel languages, compilers, algorithms, and libraries, as well as applications of parallel computing to biology and other science disciplines. She earned her Ph.D. in Electrical Engineering and Computer Science from the Massachusetts Institute of Technology and has been on the faculty at UC Berkeley since 1991 with a joint research appointment at Berkeley Lab since 1996. She was the director of the National Energy Research Scientific Computing Center (NERSC) from 2008 to 2012 and in her current role as Associate Laboratory Director she manages a 300-person organization that includes NERSC, the Energy Science Network (ESNet), and the Computational Research Division. 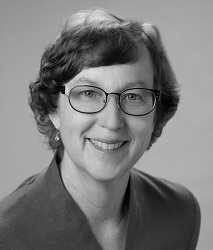 She is a member of the Computing Community Consortium (CCC), and she previously served on the National Academies Computer Science and Telecommunications Board (CSTB) and the California Council on Science and Technology. She is an ACM Fellow, recipient of the ACM-W Athena award and the 2015 ACM/IEEE Ken Kennedy Award, and is a member of the National Academy of Engineering and the American Academy of Arts and Sciences.